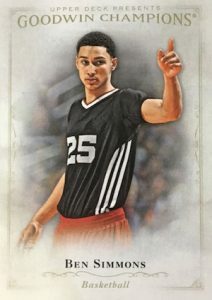 A mash-up product that features multi-sport options, entertainment and history cards all in one package, 2016 Upper Deck Goodwin Champions is one of the most diverse releases each year. Every hobby box promises three total hits from a variety of choices. 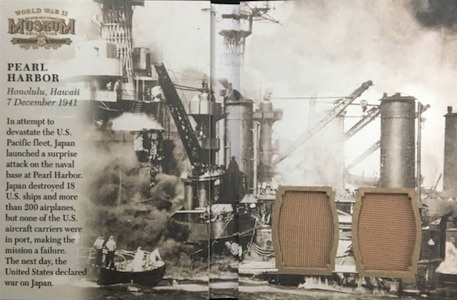 The standard base set is comprised of 100 cards with an additional 50 Black & White Short Prints and 50 Goudey cards to total a 200-card master set. 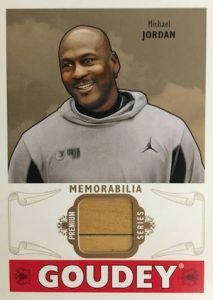 Mini parallels include Canvas, Cloth (#/25), Leather (#/16), Wood (#/8) and Gold (1/1). 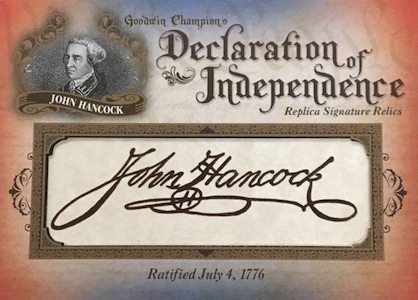 Autographs focus on hard-signed content with a mix of designs and several top names. 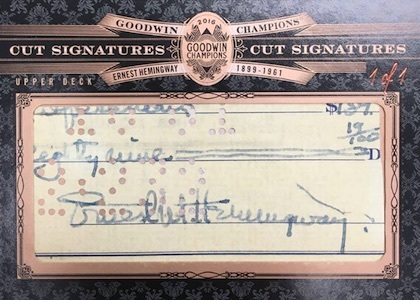 Base Goodwin Autographs (1:26 packs) are the most common and also feature an Inscribed (#'d) parallel. 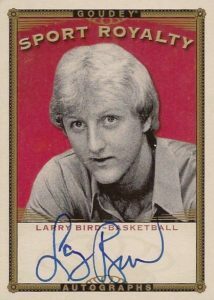 Featuring the more rare options, Goudey Autographs are a tougher pull at 1:320 packs. 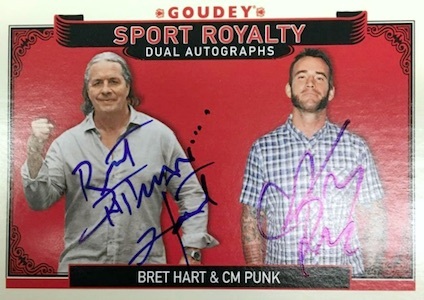 Even more rarity comes courtesy of the Sports Royalty Autographs (1:2,560 packs) and Sports Royalty Dual Autographs (1:10,560 packs). 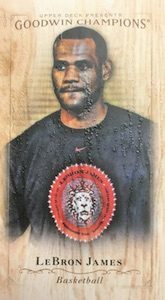 Likewise, 2016 Upper Deck Goodwin Champions relics are found in several forms and rarities. 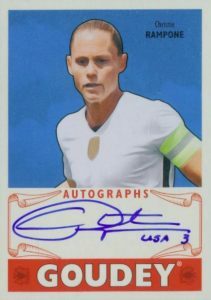 Among these are Goodwin Memorabilia (1:30 packs), Dual Swatch Memorabilia (1:960 packs), Black & White Memorabilia (1:300 packs), Goudey Memorabilia (1:150 packs), Sports Royalty Memorabilia (1:960 packs), and Sports Royalty Dual Swatch Memorabilia (1:1,920 packs). 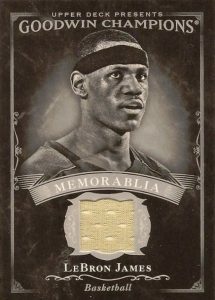 Each is also found as limited Premium (#'d) parallels. 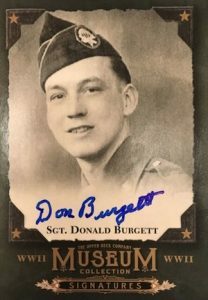 Part of a theme that includes several World War II inserts, Museum Collection WWII Signatures (20 cards - 1:160 packs) celebrate those who protected the country with on-card autographs. 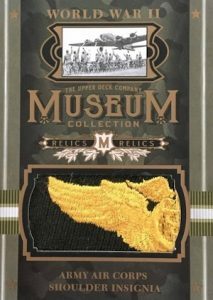 There are also Relics (1:320 packs) and Booklet Relics (1:1,209 packs) centered around those on both sides. Another interesting inclusion, The Supernaturals features 3-D lenticular technology and an art-based checklist that offers notable figures from several regions and dynasties. Averaging 1:80 packs, the full lineup is broken down into several tiers. 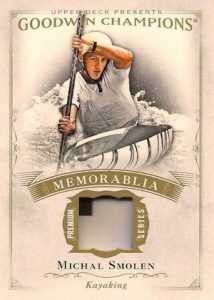 In addition to the options below, collectors can also find Artist Autograph parallels (#/25). 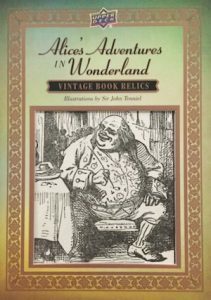 Not just limited to sports and history, Alice's Adventures in Wonderland Painted Booklets (hand #'d to 10) take a chapter approach to the literary icon with a 21-card set that essentially relays the entire Lewis Carrol story using summaries, detailed paintings and quality stock. The cards feature hand-painted artwork based on the original published images from famed 19th century illustrator John Tenniel. These new interpretations are fully colorized, offering an added update to the black-and-white drawings. Additional booklet images can be seen in the gallery below. 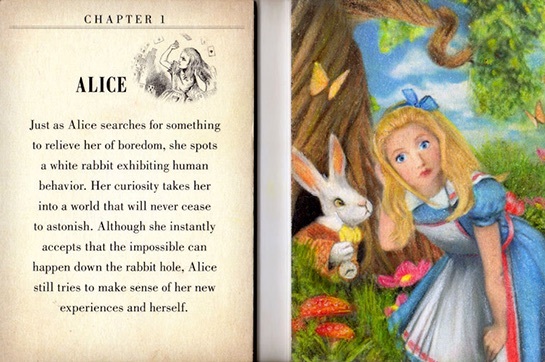 Building on the Alice in Wonderland theme are Cut Page Relics that include embedded page pieces of early 20th century editions for both Alice in Wonderland and Through the Looking Glass. It is important to note that 2016 Upper Deck Goodwin Champions will also be available as an Upper Deck e-Pack release later this summer. 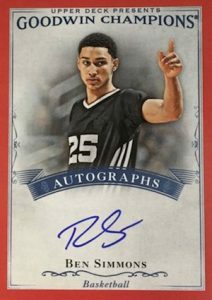 2016 2017 GOODWIN CHAMPIONS BEN SIMMONS AUTO BGS 9.5" RAISE THE CAT" # 10! 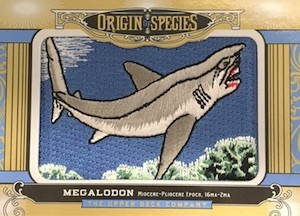 Odds below include Hobby (h) and ePack (e). 150 cards. Shop for complete base sets on eBay. Short Prints: Black and White (#101-150) - 1:4h, 1:4e packs. PARALLEL CARDS - Shop minis: Minis (1:4h, 1:3.3e packs), Canvas Minis (1:12h, 1:10e packs), Cloth Lady Luck Minis #/25, Black Metal Magician Minis #/16, Wood Lumberjack Minis #/8, Printing Plates #/4, Gold Presidential Minis 1/1, Black and White Printing Plates 1/1. 9 cards. 1:1,080 hobby/e packs. 44 cards. Overall odds 1:27h, 1:53e packs. 21 cards. Serial Numbered #/10. Planned Hobby Redemptions, Random Inserts in ePacks. Overall odds - 1:3,200h, 1:3,200e packs. 10 cards. Overall odds 1:1,280h, 1:1,280e packs. 7 cards. Overall odds 1:300h, 1:600e packs. 56 cards. Serial Numbered #/76. 50 cards. Overall odds 1:4h, 1:4e packs. PARALLEL CARDS: Printing Plates #/4. 25 cards. Overall odds 1:320h, 1:320e packs. 9 cards. Overall odds 1:150h, 1:450e packs. 9 cards. Overall odds 1:1,641h, 1:1,641e packs. 11 cards. Overall odds 1:2,560h, 1:2,560e packs. 4 cards. Overall odds 1:10,560h, 1:10,560e packs. 4 cards. Overall odds 1:960h, 1:960e packs. 5 cards. Serial Numbered #/15. 5 cards. Overall odds 1:1,920h, 1:1,920e packs. 12 booklets. Planned Hobby Redemptions, 1:1,077 hobby/e packs. 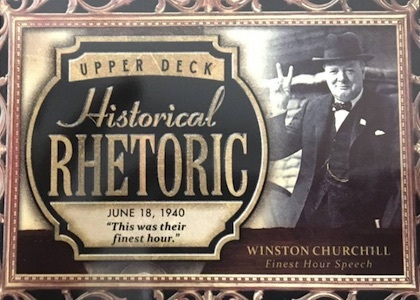 HR-CH Winston Churchill "Finest Hour"
HR-DD Dwight D. Eisenhower "D-Day Invasion"
HR-EI Elizabeth I "Speech at Tilbury"
HR-GB George W. Bush "911 Bullhorn"
HR-NB Napoleon Bonaparte "Farewell Address"
HR-PH Patrick Henry "Give Me Liberty"
HR-TR Theodore Roosevelt "Right of People to Vote"
22 cards. Overall odds - 1:30 h, 1:240 e.
19 cards. Overall odds 1:231 h, 1:231 e.
5 cards. Overall 1:960 h, 1:960 e packs. 22 cards. Overall odds 1:320h, 1:320e packs. 13 cards. Overall odds - 1:1,293 hobby/e packs. Specific redemption group odds noted below. 23 cards. Overall odds - 1:1,293 hobby/e packs. 20 cards. Overall odds 1:160h, 1:160e packs. 100 cards. Overall odds 1:64 packs. Individual Odds: Herbivores Etc. - 1:108 packs, Predators - 1:322 packs, Winged - 1:575 packs, Amphibians - 1:1,080 packs, Primates - 1:1,850 packs, Humans - 1:14,000 packs. 42 cards. Overall odds 1:40 packs. Specific tier odds noted below. “ePack release later this summer” that tells me all I need to know, more overproduced upper deck junk. Oh and ‘Replica Signatures” lol… really ? I received a case of 2016 Goodwin and a case of 2016 Panini flawless baseball for my birthday. The Goodwin case was a blast. For fun I priced everything out of Ebay and could net $ 2000. First pack I opened was a 2015 Sport Royalty Peyton Manning. According to your site it’s a added card and is 1 in 32,000 packs. I was a little concerned about this years lineup . Turned out to be one of the more fun case pulls ever. Very Happy with a product I open every year that hasn’t had the fatigue of so many other products (five star, legendary cuts, others). 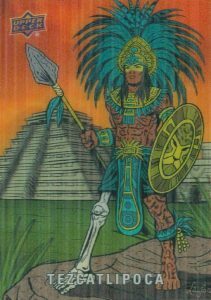 What are the e-pack insertion/odds numbers for some of the other inserts, like Supernaturals, for example? Thanks. My favourite collection is finally at my possession. 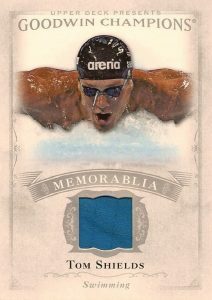 2016 Goodwin case contained long time waited Sport Royalty Memorabilia . 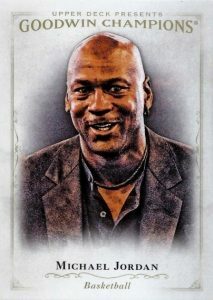 I could sell this on my My basketball team game profile for easy $800. 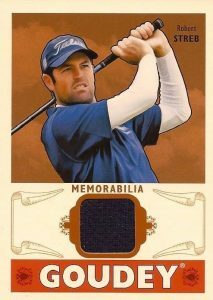 2009 Goodwin Champions Factory Sealed Hobby Box -- 3 Hits per Box !!! 2012 Goodwin Champions Factory Sealed Hobby Box -- 3 Hits per Box !!! 2014 Goodwin Champions Factory Sealed Hobby Box -- 3 Hits per Box !!! 2015 Goodwin Champions Factory Sealed Hobby Box -- 3 Hits per Box !! !